Helping each other enjoy life and relationships on the spectrum. We’ve probably all heard about (or felt) imposter syndrome. In my work with adults on the spectrum, I notice that many of my clients struggle with some version of it. Even those who have achieved success in academic, professional, financial, and even social contexts struggle privately with the sense that none of it is real. In contexts they’ve mastered they can appear socially adept (or so good at their jobs that social deficits are pardoned). But outside of a mastered context (whether the context is reddit or academia seems of little relevance), many struggle with something beyond social anxiety. I call it social panic. How then are these adults able to function so well in these mastered contexts? It baffles both my clients and their loved ones. There are probably a number of ways to understand the discrepancy, and one way I describe it is via the idea of snipping. Snipping is my way of describing how people with certain default styles cope with emotions that are beyond his or her capacity to handle. Under extreme stress, some of us snip the connections that bind us to parts of our own experience. It might be a foreign concept to someone who has never experienced it, but many of my clients recognize the phenomenon, though they’ve been unaware of it or unable to describe it. For instance, many of my clients are intellectually gifted. Their methods for processing reality may already differ a bit from those with less specialized brains. If the emotional load involved in processing reality in this way is too large to handle (as can be the case with those who perceive patterns and detail that remain out of awareness for most of us), adults on the spectrum have the option of snipping their awareness of the emotions. This is not necessarily a neurological reality (though I wouldn’t be surprised if it gets backed up by imagery sometime soon), but it is a way to describe the emotional shutdown so many clients experience, an experience they always describe as involuntary. I’m guessing if I had the option to do some snipping to avoid painful emotions I might rely heavily on that technique for managing everything from boredom to stress to grief. Some clients snip not just their awareness of their emotions, but their awareness of their bodies, of time, of events taking place around them, of identity itself. Because of this snipping, they may be (in ways that seems almost genius – and maybe are) able to transcend typical limitations associated with the body (think of the busy programmer who forgets to eat or go to the bathroom), time (think of the musician who has been trying to master a piece for 12 hours straight), events around them (think of the cool mindedness of the non-reactive stance you’ve seen in the midst of conflict) and even identity (think of the adult who transcends typical limitations of gender, and even ego). The snipping phenomenon can be a great tool, obviously, but like most coping styles, it appears to come with both benefits and costs. The benefits seem obvious: untethered from ego and emotion, my clients can often think in ways others can’t. Awareness of ego and emotion, especially, compete for attention and energy; divorced from these sources of internal resource depletion, clients on the spectrum can immerse themselves in music, programming, philosophy, etc. in ways that a more diversified brain might find out of reach. Clients often dazzle me with their perspectives and intellect. The costs involved in snipping are sometimes immediate (such being unable to participate in a charged emotional situation that demands emotional engagement) and more often long-term (a life that runs like a machine but lacks vitality). Clients sometimes store negative emotions, such as fear and grief, in their bodies – digestive problems, sleep disturbances, jaw clenching, etc. – and even more often suffer symptoms such as difficulty harnessing attention and swings in motivation, as well as compulsive productivity alternating with periods of disassociation. Snipping can allow a bright person to block out fear so s/he can develop and express intelligence and think in ways that are exciting, but the fear has not truly been dealt with and transcended. It has been avoided, and - out of sight - it may even have grown. The adult who has built not just coping mechanisms, but a life and a career (or even an identity) on a foundation of snipping maybe very wary of changing the system. I think this wariness is wise! When changing how one processes and interacts with reality, things tend to get shaken up. Who is to say it will be worth it in the end? A therapist who promises that it will be “worth it” is promising something she cannot know, and certainly cannot ensure. 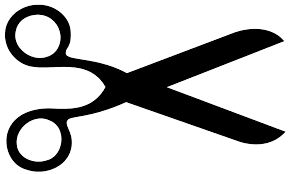 The client who ventures forth to change the snipping system must want something that s/he might not even be able to name. And s/he must have, to some extent, faced the reality that the system is breaking down, or is limited in ways that have come to be unacceptable. When working with clients on the spectrum who have a snipped connection, I don’t make promises and I try to remain cognizant of the reality that I can’t sell the worth of knitting together that snipped connection. Realizing that a beautiful system of rationality and logic is limited or inadequate can be both painful and frightening. I have compassion for the pain of the realization, a respect for the difficulty of the path, and a willingness to walk with the client who dares to embark on the journey. I experience this and it is both protective and painful. It gets misunderstood by my spouse as withdrawing deliberately. It would be great if I had more control over it. I do not want to lose control or cry in front of anyone, even myself. How many times has this happened to me and led to shame? This is really helpful. Very helpful. I've always struggled with this even though I've just recently been diagnosed. The best way I could explain it to people is that I am deciding how I want to feel about something before reacting, then once I've decided how to feel, I respond with emotion. This works well when making leadership decisions, not so much when people need me to empathize with their feelings in an emotionally driven moment. I am autistic and practice Buddhist insight meditation. There is a teaching about anatta, that there is no permanent self. This teaching is quite difficult to comprehend for most people. I have a weak ego, likely because I am autistic. Anatta is easy for me to understand and I think autism makes that so. This kind of process is something I used growing up to cope with my screaming mother. When she started to rant I would go away in my head. I do not know if others have parents who were intense but mine were. I used numbing myself to cope and I would picture a concrete wall going up to protect myself. I could not cope with the emotion overload and I could not figure out what my mother needed from me and any chance I took to try to respond to her made things worse. I spent most of my time in childhood behind the concrete wall. I am now in my 40's and am trapped behind it and I do not think anyone can help me. Anytime I try to come out from behind it I end up anxious to an extreme so that I cannot even speak. It is not something that cognitive therapy can even touch. Please keep writing these articles they are a lifeline. what? everyone does not do this? whoa. i figured all people do this. no wonder i feel like an alien. no wonder i am calm in crises. This article is another good one that explains things I experience in a way that I can understand. Have you thought of writing a book in addition to this blog? In my experience the concepts here are new or at least a new perspective on autism experiences. You seem to understand more than any author I have read and that does include autists. Think about it as we do need more of your insight. Once again I'm truly impressed by your insight! I believe my "snipping" ability was always very strong and this protected me from meltdowns and from the world seeming too intense to handle, which are things I believe many on the spectrum suffer from. I used to describe it as an off switch. Damn it was annoying sometimes, because it would just switch off automatically when I was faced with too much stress, leaving me able to function perfectly fine on a logical level but without being able to perceive or consciously apply my own emotions. You said in a previous post that aspies benefit greatly from mindfulness, and this has been SO TRUE for me in addressing the problem of snipping too much. I have practiced mindfulness intensively and extensively at times in my life, in all kinds of situations e.g. mundane daily routines, exercise, work, going on walks, dancing, but most importantly in non-verbal communication such as eye-contact, physical contact, developing a rapport with a person through body language (often in the context of group therapy or meditative practices where such things can be done without the complication of words) etc. This was all combined with a lot of catharsis and expressive work to deal with any negative emotions as they were unearthed. This process was one of my various steps in overcoming asperger syndrome, which by this point in my life I genuinely believe I have done. Not only am I now able to function and connect with others in the ways neurotypicals generally do, but this feels natural and enjoyable for me and is neither tiring nor stressful to maintain. I emailed you last December 11th because I really want to find a way to use what I have learned to help others, but frankly I have the impression that you are one of the only people who would understand what I am talking about! So please do contact me if you think hearing more about my experiences might be helpful to your already groundbreaking work! May I add my name to the list of people requesting that you write a book? I have been watching your blog for an update and was once again pleasantly surprised with an update. I love your insight into aspergers and willingness to examine both the pros and cons. Your writings here have taught me more about myself than 40+ years of self examination. I see so much correlation between my self and these examples. They ring true to me. I think your work is groundbreaking. I hope you can find time to expand your observations into a book. I eagerly await your next discovery and posting. Thank you for another great article. You should write a book. There's nothing like this out there. Truly. Thank you so much for this blog! I'm a 98%er. I love my partner with all of my heart, but it is not a cake walk. Thank you for helping me understand and empathize with him. I never understood when he told me that he can't respond when I "attack" him with my feelings until he is given time to think about it. I always thought that was a cop out. I agree on the book idea! Solid work! I call it "one less thing." Your blog is by far the most positive and encouraging insight into life with Asperger's. I look forward to your posts like a life-line. Thank you for your work. Imposter syndrome. Yes well when you seem to be in a parallel universe, occasional success in the normal world does seem to be a fluke, even if you know more details about every thing than anyone else and have a high academic degree and speak many languages etc. But it WAS a series of flukes. I know because I'm still unemployable! My knowledge is just a worthless hobby. Snipping? More like total alienation. Maybe that can be your next topic: anthropologists on Mars. But thanks it's a nice blog. How could this snipping hypothesis be tested or analyzed in individuals? I TURN 63 IN TWO DAYS. I FIRST HEARD OF" ASPERGER'S" SEVEN OR SO YEARS AGO. IT MAY NOT BE A SICKNESS OR DISORDER, BUT LACKING GOOD GUIDANCE AND UNDERSTANDING HAS LEFT ME ILL AT EASE AND SOCIALLY ESTRANGED WITH LOTS OF REGRETS ALL MY LIFE. I'VE BEEN LEARNING MORE INTENSELY LATELY AND THESE INSIGHTS HAVE BEEN MOST HELPFUL. I wish you were still writing! I am really enjoying your blog posts - your description of the adult aspergers experience is really resonating with me. Until recently I thought I was too "social" to have aspergers, but your description of "Joe" really nailed it. Please continue writing. You have a gift that needs to be given. I agree with all the commenters from over the years. Yours is a voice that resonates most clearly. You take an academic look and translate into a layman's style; right up my Asperger's alley! A book would be most welcomed. I only found your blog today, and I wish there were more to read. I have only considered aspbergers as a way to explain my behavior in the last year or two. I resonate a lot with Joe. Or Joe's story resonate with me. If you do write a book, I want to know about it! My right brained LCSW wife identified deeply with your viewpoint. From my perspective your writing seems (NT) ethnocentric. I agree with those who say snipping is involuntary. I have not seen any research that supports alexithymia being volitional. Perhaps what I practice and call compensation could be described as volitional snipping. Your description of Joe rang true with my wife but the parallels are a decade and more in my past, long before I had even heard of Aspergers. Sadly she is desperate to help me become more NT "normal". Accepting my strengths and weaknesses, developing my strengths and asking help in compensating has been greatly freeing. The times of peace that passes understanding increase and the chaos of my first fifty eight years is slowly fading. Up until a year ago I had never been able to say, "Life is good". I look forward to hearing more of your thoughts on the care and feeding of old Aspies. Hmm. Much appreciation for your stellar writing. You write with an extremely pleasing rhythm and cadence, and seem really wise! Definitely what I was seeking tonight after my wife brought up that she thinks I'm autistic again. I don't even know if I told her about how much I looked into it--in fact I totally forgot that I looked into it enough to ascertain that yes, I probably am. My son was diagnosed a year ago at age 3 and the hardest part for me has been watching the conflict between wife and son. He drives me crazy too, but I find him fundamentally intriguing. Don't get me wrong, parenting is the hardest and least rewarding thing I've experienced by an order of magnitude (him plus a sibling). But i see how she is driven to the point of not loving him and I see the parallel to how much she doesn't love me. It's upsettting in exactly this way: "honey, i am a genius. Don't you know that? Didn't you read my work? Wasn't that what attracted you? Have you not heard what my bosses have said? Are you not getting it that I'm one of those people who can do anything in the world of business?" Instead we will be watching something, like a show with a somewhat psycopathic character (by mainstream perspective -- I suspect in some good writers hand these are not psychopaths, that they are testing ideas that make a good deal of sense; like the young pope for example, pursuing the last possible strategy for proving the only thing that matters: does god exist? I get that totally. But then she'll say, "what don't tell me you think you're like this guy." She's always doing that. Telling me what not to tell her. "Don't do that thing where you..."
Anyway, I see how she truly doesn't like me. Just so weird because I thought she did 6 years ago. Thought she wanted to marry a genius who is what geniuses are. Never going to enjoy a vacation for real. Never going to not know more than her about anything that relates to any system I understand the rules of. Why is it all about what one knows? The facts exist outside our heads and I can't understand why it offends her that I look it up after she mentions something new, which means to her that I don't trust her on facts. Okay. But like, why would we ever trust anyone? I know how weak my memory is and an incorrect fact is worthless for extrapolating the system. So why not get it straight once and almost for all? Venting. Frustrated as I'm out of money after getting self fired from c level role (little to regret, just made demands that I expected would result in termination 60% of the time) after my son was diagnosed and I realized life would be measurably difffernt for him if my wife gave him away as she wanted to. Let's just say, this cute little boy is incredibly difficult. In. Cred. IBLY. With zero redemption for her ever. He doesn't ever ever nod toward possibly caring for her. So I totally get it. Anyway. Here I am a year later struggling to get a resume out the door as I know who should hire me and who shouldn't. I know what I'm world class at, which is 7 days a week for 2 years straight moving from sales to running a 50m company and not burning out ever. But now I can't do that and I'm literally worthless. If I can't work anytime and then also have the luxury of cross country commutes for extra work when my wife thinks I'm sleeping hehe, I can't get the spaceship started. My head. takes four months to warm up and once it's going it's going to mars, first of humankind to get there. Hasn't been on for 12 months. The hardest 12 months of my life. Far harder than when my ex wife, aspie, was dying of an eating disorder, prompting me to leave. That was hard but taking care of kids is harder. She died a year ago, but I haven't talked to her for maybe 4. Blocked her number after getting remarried. It was sad then. She was a great person but I couldn't keep watching her die. Anyway, kids are a lot harder than that. Thank you so such for your enlightened and enlightening blog writing. You have described myself and my husband quite exquisitely. This has given me, in particular, the understanding needed to transform my relationship something very special. In the past there has been a certain amount of argey bargey between us, as I tried to force him to be something that he is not. Now I can love him exactly as he is, even tho he may not agree that he is on the autism spectrum. That is another point... who am I to diagnose him with any condition at all ? In my own case, I know that I am Autistic, because I have all the idiosyncrasies of Autism. My reasoning goes along the lines that if it quacks like a duck etc ��. My particular worry is that many people are not able to access help due to financial considerations, and that's true in my case. That is why blogs such as yours are a lifesaver to many folks who are in the dark. Thank you so much for sharing your great wisdom with all of us here in cyber space. It takes much courage to do so, and has not gone unnoticed by the fact that many have replied, and thus have been set free from their dark places. All the best to you, with the warmest regards. Leonie Cent (at iCloud dot com). Yes. Totally agree. and now at some point I have to decide to forsake my reality, which I know is a a magnitude more fair, logical, proven, truthful, honest, courageous, sensible, nondiscriminating, unbiased, etc,etc, etc... And trade it in for starting over and practicing what NT people do intuitively, naturally and honestly without internal conflict. Can't fault them for that! Yet I now must embrace what is not natural, what I have questioned and discarded for its iniquity, its almost indefensible ignorance, its hypocrisy,and pretend its "me" too. This is what he meant by "hard". Yes I've always snipped.I called it Lock down. Just lock off.If I don't agree or can't take the verbal rant I simply lock down and separate it.Its a coping mechanism that has served me well.I didn't know it was an Aspie thing tho.I love your observations about patterns.Are you yourself on the spectrum?Love to know as you are in sync with us. Welcome adults on the spectrum and those of us who love them. I am a psychotherapist in private practice in Seattle, Washington. I specialize in working with adults with Autism Spectrum Disorder. They teach me how to love. I am so appreciative of readers' perspectives and am happy to publish comments that are constructive or questioning in nature. However, comments that are potentially hurtful will not be included in our discussions here. Though I know relationships can be frustrating, venting or blaming must be expressed elsewhere in order to preserve the solution-focused tone of this site. Thank you for helping us maintain our hopeful and reality-based content. Copyright Terra Therapy P.C. All Rights Reserved. Picture Window theme. Powered by Blogger.